Hewlett Packard - Envy x2 13-J Series HP Envy x2 Detachable 13T-J000 13-J Series Intel Core M-5Y70 1.10GHz SR216 Processor 8GB Laptop Motherboard 787280-001. Hewlett Packard - Envy x2 13T-J000 HP Envy x2 Detachable 13T-J000 13-J002TU Intel Core M-5Y10 0.80GHz SR217 Processor 8GB Laptop Motherboard 787281-001. Hewlett Packard - Envy x2 15-C Series HP Envy x2 15T-C0 15-C Series Intel Core M 5Y70 1.10GHz SR216 Processor 8GB Laptop Motherboard 783115-001. 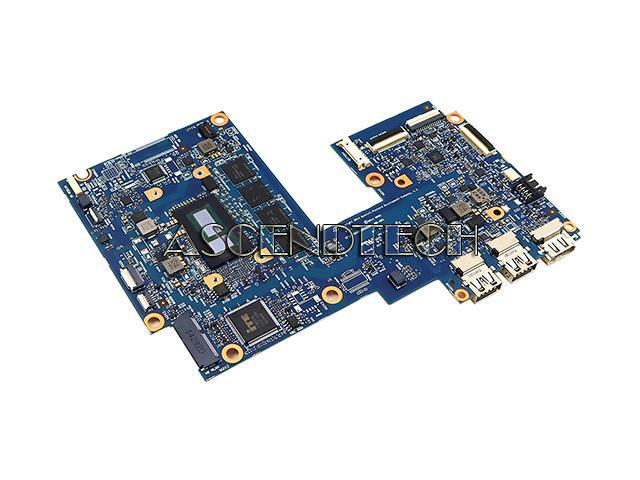 Hewlett Packard - Envy x2 15T-C0 15-C029LA HP Envy x2 Detachable 15T-C0 15-C029LA Intel Core M-5Y10C 0.80GHz SR23C Processor 8GB Laptop Motherboard 797181-001. Hewlett Packard - Spectre x2 12-A Series HP Spectre x2 Detachable 12T-A000 12-A Series Intel Core m5-6Y54 1.10GHz SR2EM Processor 8GB Laptop Motherboard 830317-001. Hewlett Packard - Spectre 13 Series HP Spectre 13-3018CA 13T-3000 13 Pro Series Intel Core i5-4200U 1.60GHz SR170 Processor 8GB Laptop Motherboard 743851-001. Hewlett Packard - Omen 15-5 Series HP Omen 15T-5100 15-5 Series Intel Core i7-4720HQ 2.60GHz SR1Q8 Processor DSC 2GB 8GB Laptop Motherboard 806343-001 806343-501 806343-601 812215-001 812215-501 812215-601. Lenovo - Yoga 700-11isk Series Lenovo Yoga 700-11isk Series Intel Core m3-6Y30 900MHz SR2EN Processor 8GB Laptop Motherboard BIZY1 LA-D131P 5B20K57020 8S5B20K57020. Lenovo - IdeaPad Yoga 2 13" Series Lenovo ZIVY0 LA-A921P IdeaPad Yoga 2 13 Series Intel Core i7-4500U 1.80GHz SR16Z Processor 8GB Laptop Motherboard 90005932. Hewlett Packard - Spectre x360 13-W Series HP Spectre x360 Convertible 13T-W000 13-W Series Intel Core i7-7500U 2.70GHz SR2ZV Processor 8GB Laptop Motherboard 907559-001. Hewlett Packard - Spectre x360 13-AC Series HP X31P Spectre x360 Convertible 13T-AC000 13-AC Series Intel Core i5-7200U 2.50GHz SR342 Processor 8GB Laptop Motherboard 918044-001 918044-501 918044-601 918138-001 918138-501 918138-601 DAX31MB1AA0. Hewlett Packard - Envy 13-AD Series HP TPN-I128 Envy 13T-AD000 13-AD Series Intel Core i7-7500U 2.70GHz SR341 Processor 8GB Laptop Motherboard 926314-001 926314-501 926314-601 936418-001 936418-501 936418-601. Lenovo - Yoga 700-11ISK Series Lenovo BIZY1 LA-D131P Yoga 700-11ISK Series Intel Core m7-6Y75 1.20GHz SR2EH Processor 8GB Laptop Motherboard 5B20K57017 8S5B20K57017. Hewlett Packard - Spectre 13-V Series HP Spectre 13T-V100 13-V Series Intel Core i7-7500U 2.70GHz SR2ZV Processor 8GB Laptop Motherboard 901720-001. Hewlett Packard - Omen 15-51 15-52 Series HP OMEN 15T-5100 15-51 15-52 Series Intel Core i7-4720HQ 2.60GHz SR1Q8 Processor DSC 4GB 8GB Laptop Motherboard 806344-001 806344-501 806344-601 812217-001 812217-501 812217-601 455.05B01.0040. Hewlett Packard - Spectre x360 13-41 Series HP Spectre x360 Convertible 13-41 Series Intel Core i7-6500U 2.50GHz SR2EZ Processor 8GB Laptop Motherboard 849425-601. 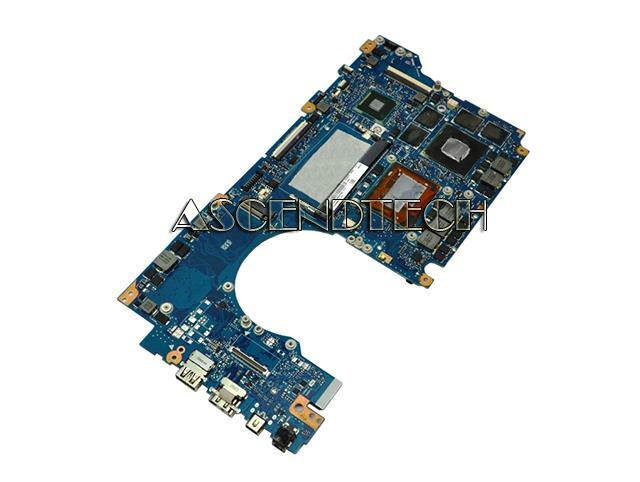 Dell - XPS 13 9350 Series Dell XPS 13 9350 Series Intel Core i5-6200U 2.30GHz Processor 8GB Laptop Motherboard 76F9T 076F9T CN-076F9T. Hewlett Packard - Omen 17-W Series HP G38D Omen 17-W Series Intel Core i7-6700HQ 2.60GHz SR2FQ Processor DSC 1070 8GB Laptop Motherboard 31G38MB00F0. Asus - ROG G501JW Asus ROG G501JW Intel Core i7-4750HQ 2.00GHz SR18J Processor GTX960M 8GB Laptop Motherboard 60NB0870-MB4601.